Marijuana Gift Guides: Cannabis Cheri's Favorite Things of 2018! 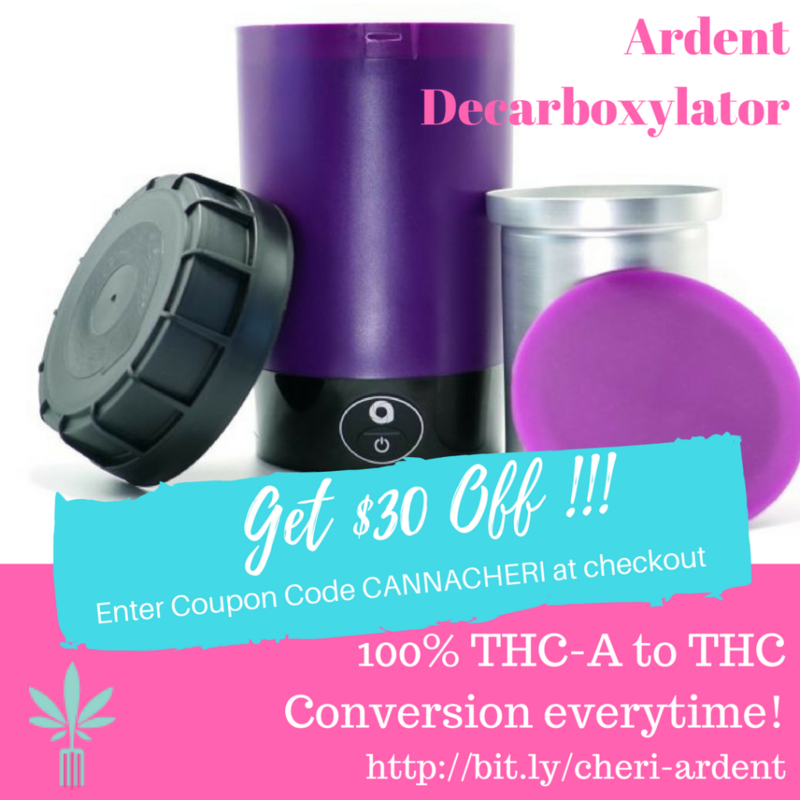 You are at:Home»Lifestyle»Reviews»Marijuana Gift Guides: Cannabis Cheri’s Favorite Things of 2018! In the course of my life and running this website (and writing my books and magazine articles), I get exposed to A LOT of cannabis and cannabis related products. PS While the gift suggestions on this page vary in price, this article assumes money is not the first consideration. You can find lower cost picks in my Cannabis Gifts for Under $20.00 post. Also, if you are shopping for cannabis cooks, check out the Great Gifts for Cannabis Cooks gift list. Cannabis Gift Online Coupon Code Alerts! My #1 favorite product of the year is the Dr. Dabber Switch! The fine folks at Vape Active (a well stocked vaporizer store offering a HUGE variety of vapes) cajoled me into trying one after I expressed disappointment in a competing brand’s products. Likewise I was not expecting much, and boy was I wrong! It vapes BOTH flowers AND concentrates (wax, budder, etc.) 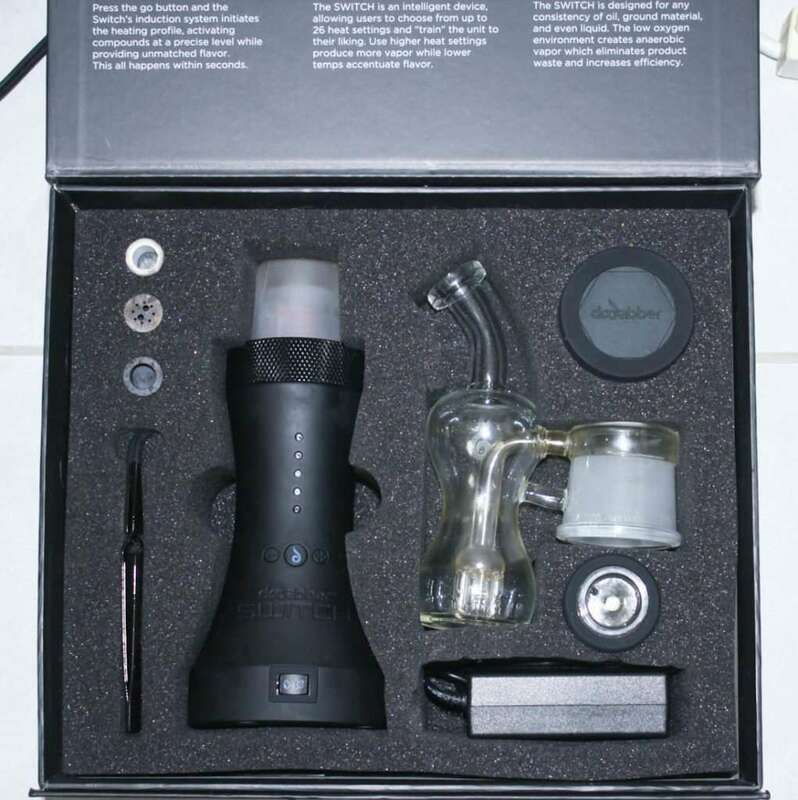 and comes with two ceramic cups — one for flowers, one for concentrates. Not only does it vape both flowers and concentrates, it vapes them well! 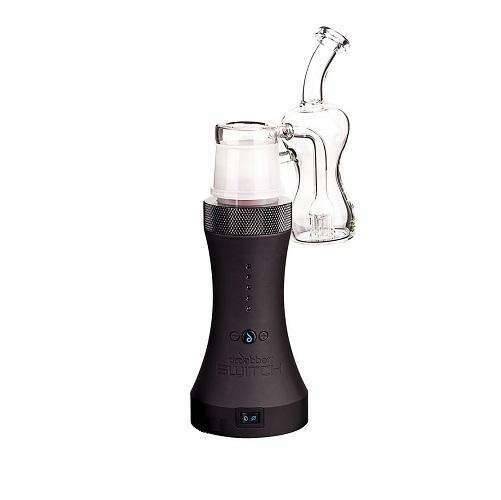 It’s a great dab rig, but there is no need for a torch or an electric dab nail, it’s all self-contained. It has a handy self-cleaning feature. It holds a charge for a looooooong time, vape after vape, dab after dab. It has unparalleled temperature control optimization. No matter what your vaping or dabbing temperature preferences, you can adjust the Dr. Dabber to the degree. Its light features have lots of options, making it not only a vaporizer but a hypnotic nightlight, that can rival a lava lamp, as well. It’s the ONLY device you will ever need for vaporizing flowers or dabbing concentrates. This is my favorite glass company because of the fine quality and craftsmanship they put into every piece. 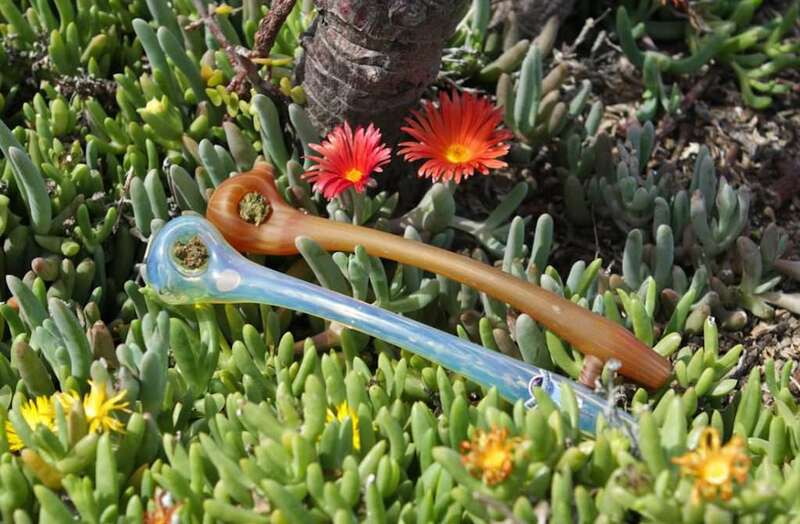 Each pipe is a small work of art created in the USA by Chameleon’s glass artists. I first became a fan via their elegant Gandalf Pipes (pictured above), after mine survived about 12 drops on a tile floor. But beyond that Chameleon Glass offers a HUGE assortment of quality hand made glass pieces, from elegant to whimsical, at reasonable prices. 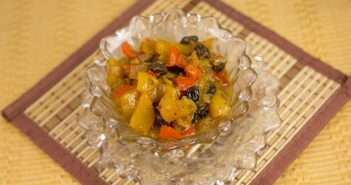 There is something to appeal to every taste and budget. 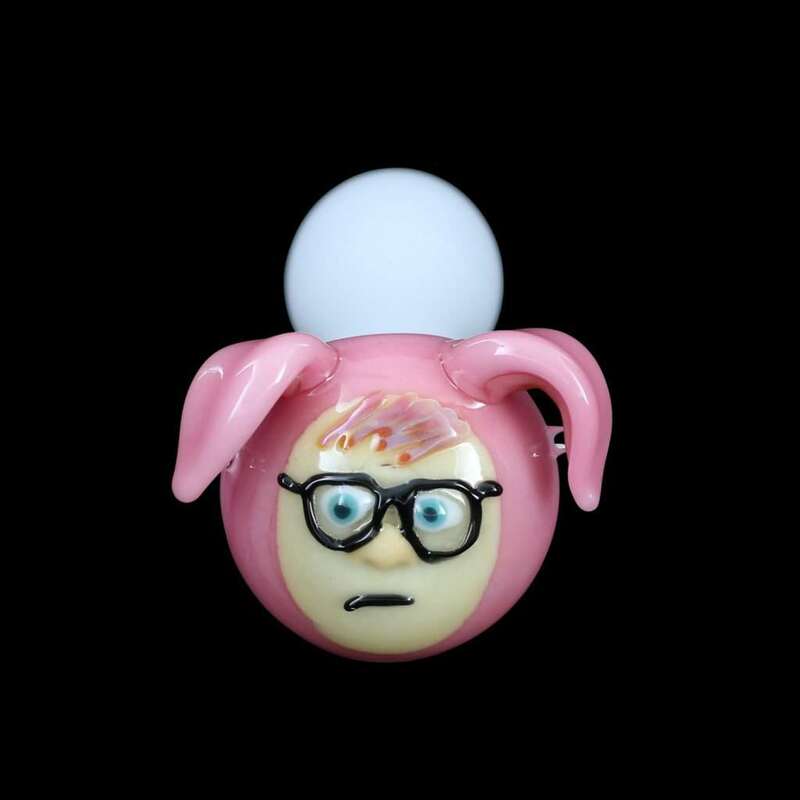 They even have special edition holiday pipes like the “Ralphie” pipe below, inspired by the movie A Christmas Story. If you do not live in a legal state, or for whatever reason your loved ones prefer CBD-only, I recommend one of the organic, full spectrum, phytocannabinoid-rich CBD products from Joy Organics as a quality THC-free alternative. If you know someone thinking about trying CBD, this might provide a great way to help them, and you can be assured they are getting a quality, tested product from a reputable CBD producer. All Joy Organics products are by from CBD-Rich hemp (NOT industrial hemp) grown in the USA. 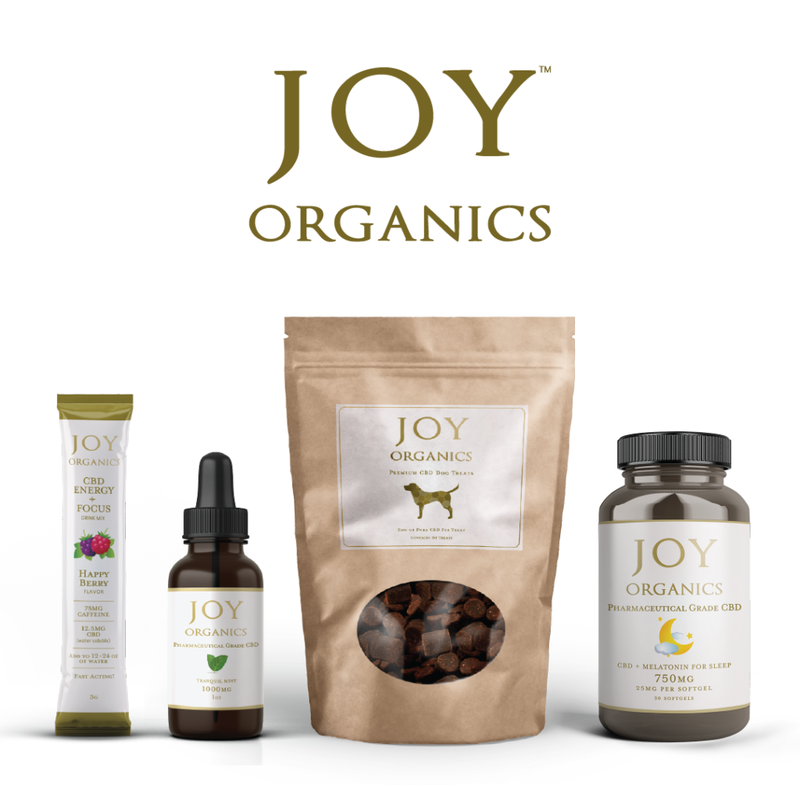 Joy Organics has a variety of full spectrum (but THC-free) products including a topical salve, tinctures, gel caps, an energy drink, CBD vape pens, and even CBD pet treats! 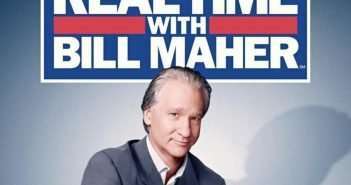 When I first saw this try, it seemed a little small. But most people do not smoke as much as my friends and housemates. For most people, it’s plenty big enough, and even for me it was a good thing as it forces me to keep my “cannabis sprawl” in check. Pull apart the magnetically held halves and one side makes a perfect rolling surface, while the other akeeps your materials organized. 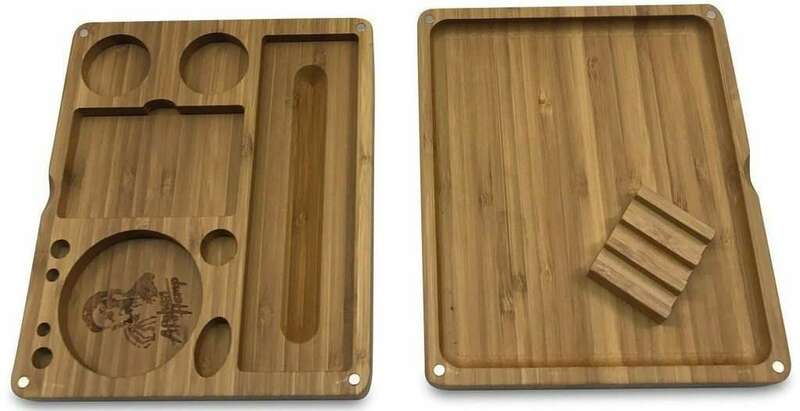 The cut out areas within the elegant bamboo tray provide places for your grinder, dugout, silicone containers, pre-rolled cones, and pick tools. When you’re finished, put the accouterments away, close it like a book, and stash it away until next time. The folks at The Source of All sent me one to check out. This online headshop also has a HUGE selection of other merchandise that will appeal to cannabis lovers. Finally, making quality cannabis concentrates is now in the realm of the ordinary home consumer. 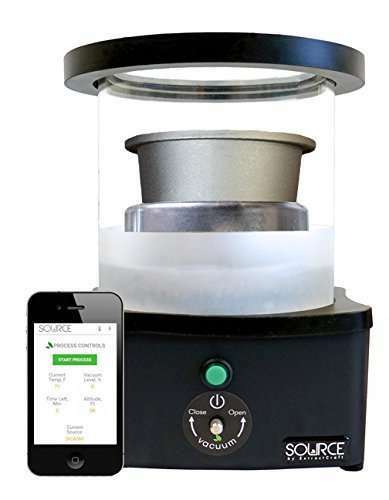 The Source by Extractcraft, provides a relatively easy to use machine that turns cannabis trim and flowers into small, personal use amounts of pure cannabis concentrate. What can you do with the concentrates you make? Vape them, dab them, smoke them, use them for cooking or to make topicals. Depending on how and how long you process, you can make concentrates of various textures and viscosities from thick oil to thin shatter. So how easy is the Source to use? Pretty darn easy. To be sure this is a pricey gift, but if your loved one enjoys concentrates, it pays for itself quickly. Read my full review of The Source here. 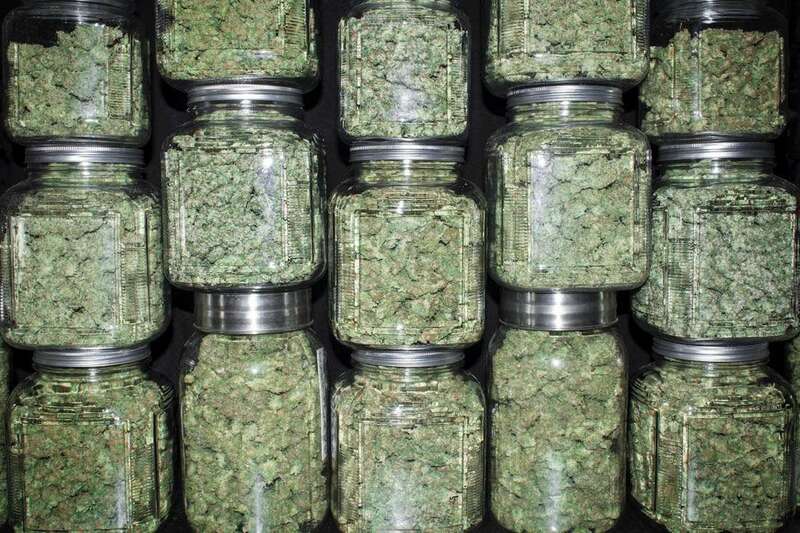 The one thing no cannabis lover EVER has enough of is cannabis! Head on over to your local dispensary if you live in a legal state, and pick up your loved one some choice nugs!